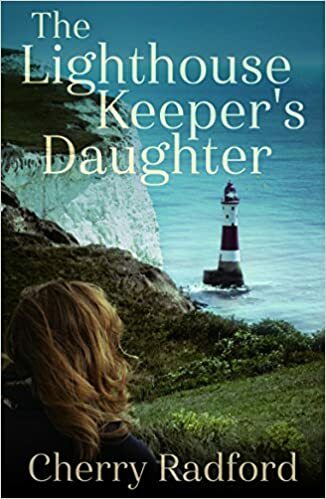 I’m pleased to welcome Cherry Radford today as part of the blogtour for her novel The LIghthousekeeper’s Daughter. Unfortunately I’m snowed under with reading commitments this month so couldn’t fit in reading it. I do hope to at some point though, as it sounds like something I’d enjoy. However, Cherry kindly agreed to share #TenThings she’d like you to know about her so read on to find out more. I’m Cherry Radford, and here are TEN THINGS about me! One of the inspirations for The Lighthouse Keeper’s Daughter was the way just a couple of Tweets led to my unlikely but enduring friendship with a well-known flamenco guitarist in Madrid. It is a novel about unexpected connections – in 2012, and 1982. I’m also a hispanophile, thanks to my half-Spanish mother. I jump between a home in Almería and an apartment ten minutes from Beachy Head. Music is a big part of my life and novels. I used to teach piano at the Royal Ballet School, but now just have some lovely private pupils. My novel includes a Spotify playlist of music in the story – an odd mix of mostly English 80s rock and popular flamenco fusion. I also used to play in a band. I still have the Melody Maker advert for a keyboard player – because it led to me marrying the lead singer. My second career was as a clinical and post-doctoral research optometrist at Moorfields Eye Hospital in London. Still don’t know how that happened. Anyone now thinking I sound smart should watch me trying to use a television remote, a shop till, my car petrol cap, or anything whatsoever in the kitchen. I have an ex-scientist’s passion for research, and for this I put myself through heaven (e.g. flamenco clubs and courses, sleeping in a lighthouse, taking a trip on a 1946 paddle steamer) and nerve-wracking hell (e.g. doing a 2-hour live bilingual radio show alongside my flamenco guitarist friend, and an acting audition for a Spanish television series). I studied writing by reading a lot and doing an online course with the Open College of the Arts. I’m currently working on a saga about a family who own a fictionalised (Eastbourne) pier between 1930 and the 80s, and having far too much fun visiting piers, penny arcades, and websites about all those sweets that used to be in jars. I nearly died of pneumonia at the turn of the millennium, so the last 18 years – which have seen the publication of my first two novels and my being taken on by the fabulous Urbane Publications for my third – are a bonus!